Loren O 's '72 521. I found this out in the woods. I bought this truck back in September 2013 for $400. 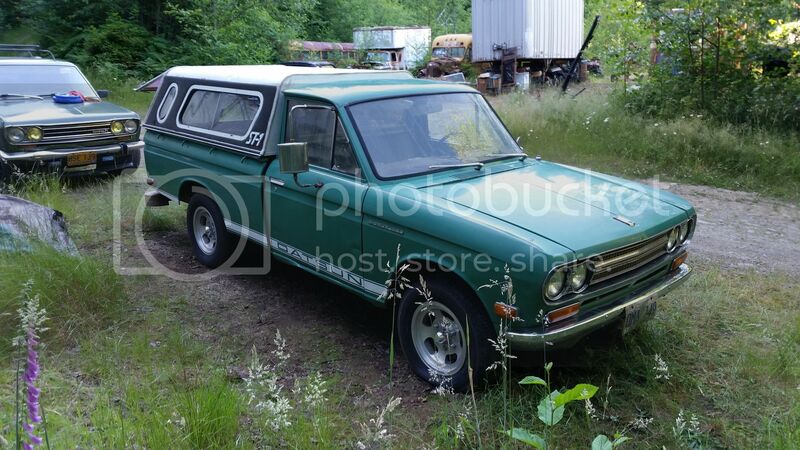 That seems to be the magic number, price wise,since all 3 of my Datsuns were bought for that same amount. It has been a long road to get this truck from the condition I found it in,to the way it is now. Alot of people have helped with advice, sold me parts,found and/or brought me parts I needed, or in one particular case,let me store my truck, worked on it,helped me work on it in thier garage. I have made alot of friends along the way! Many of whom are also on this forum. 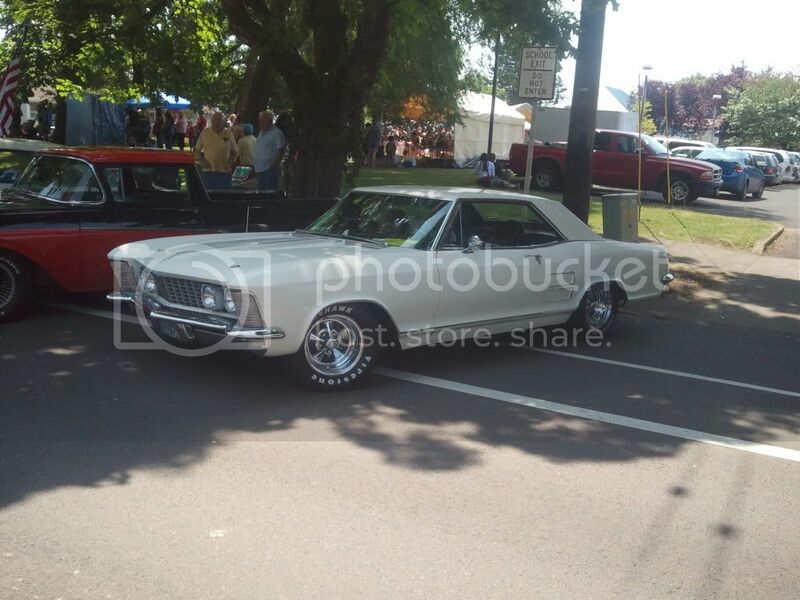 If it weren't for my posts about this truck,I probably would not have been invited to be part of the Canby truck project,Maybe even Datslocos Oregon. Thanks to everyone who has helped along the way. Re: Loren O 's '72 521. I found this out in the woods. Here's a few pictures from when I first got my truck. Here's one of the major issues left to tackle. I have a patch panel coming. 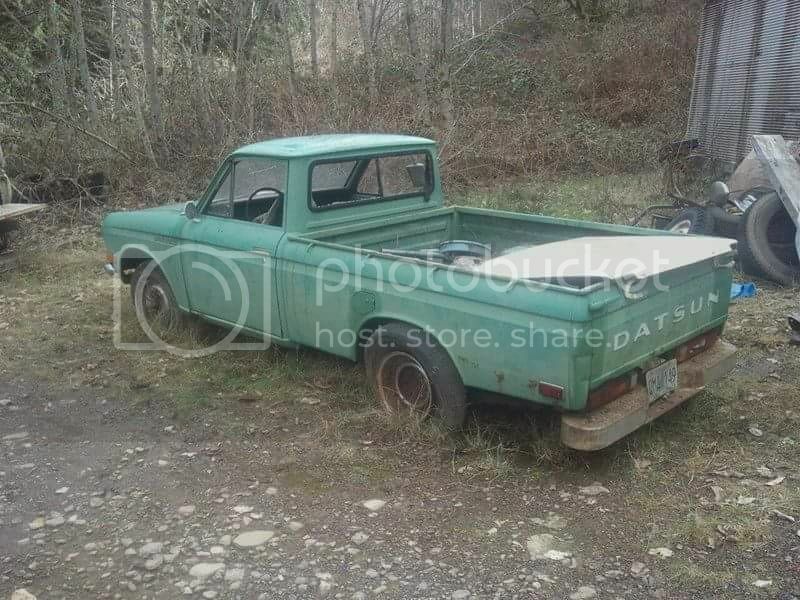 The bed floor is rusty like this by the tail gate,& I have a few small rust holes in the back left corner of the floor of the cab,which isn't a surprise, since this truck sat for many years after having the rear window,& drivers door window shot out of it. 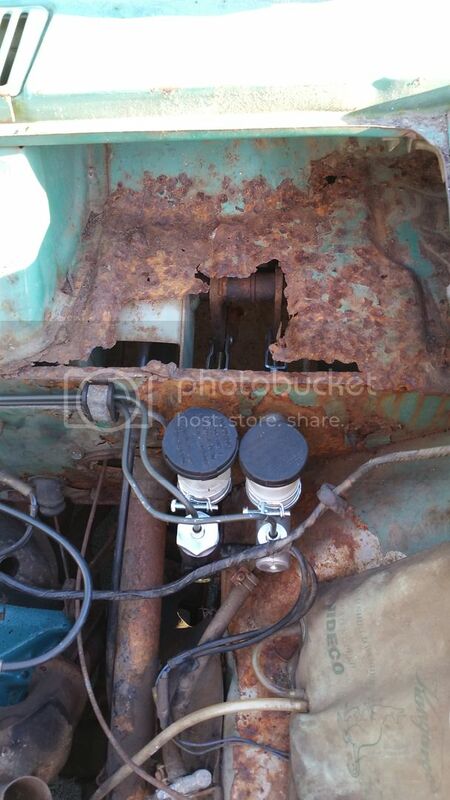 I like it alot but don't envy you having to do that rust repair. 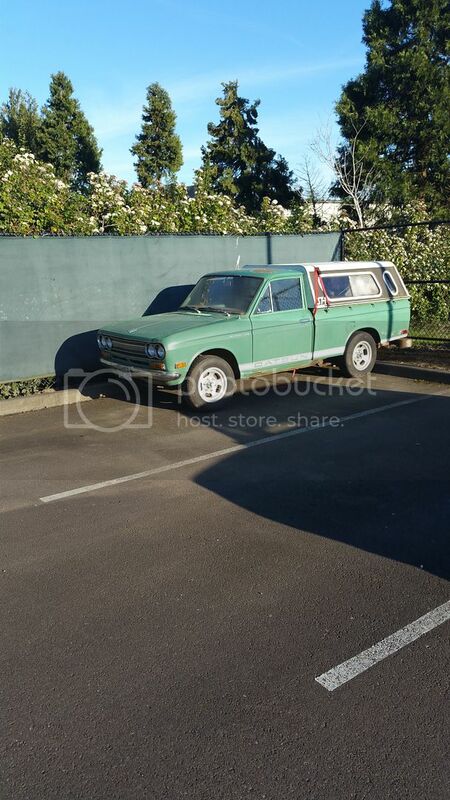 nice save, love the green and from the looks of the oxidize paint to the buffed out paint, they look like 2 different trucks. Keep up the nice work your doing. Ni10 wrote: the looks of the oxidize paint to the buffed out paint, they look like 2 different trucks. I dig the rocker decals, too! Your sig photo is huge!!! It really is. But more importantly, why is there no thread about the '63 Riv? 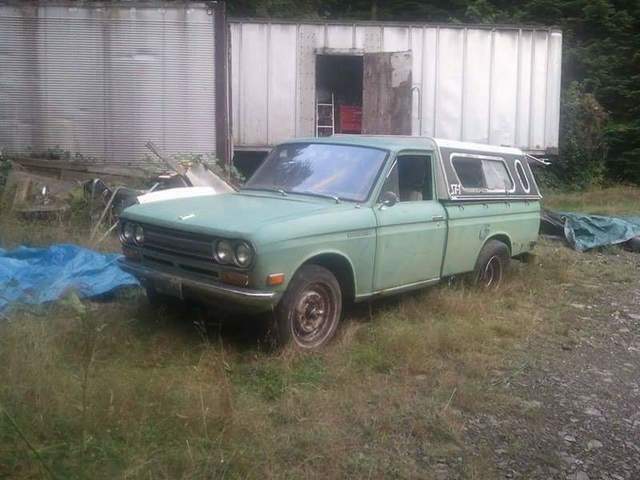 Do we have an "other makes " ,or " non- Datsun" section here? Loren O wrote: Do we have an "other makes " ,or " non- Datsun" section here? Car looks great. Deserves a thread.